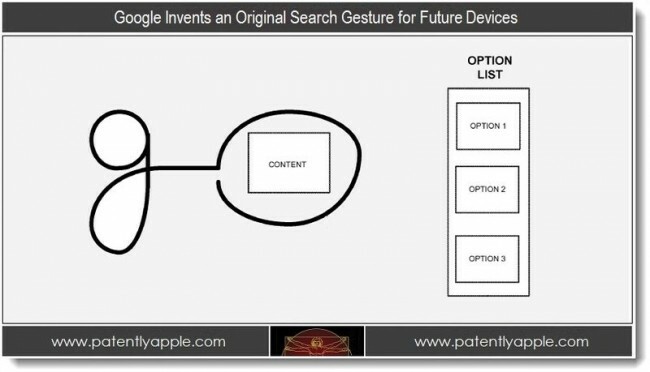 Another upcoming patent application submitted by Google has been broken down in detail by Patently Apple. 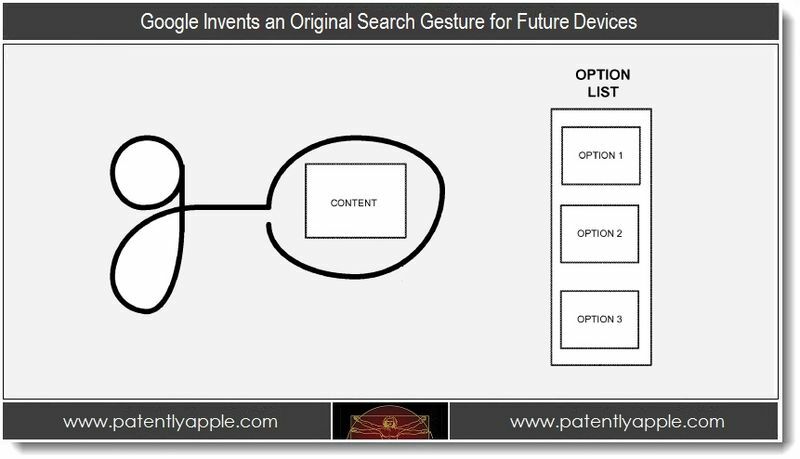 The newest submission is a gesture-based search feature that is reported to launch on upcoming devices. 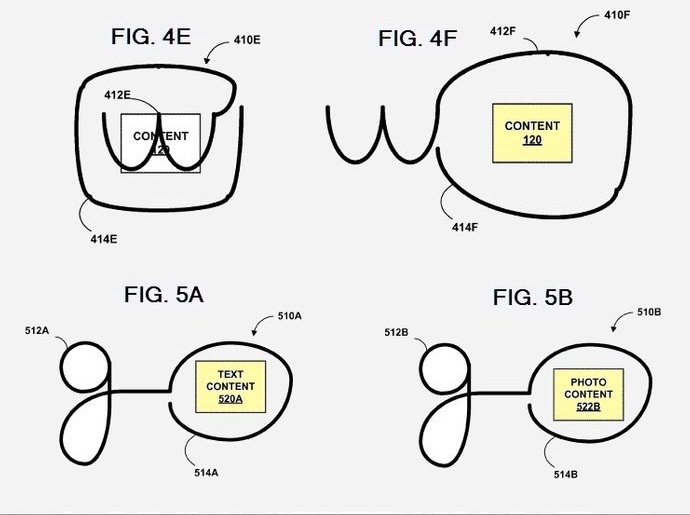 Basically, you draw a letter which equals a command, then circle the content which you want the command to base its process on in a single motion. So draw a “G” then circle a word or picture and it will show the Google results for that content. You can draw different gestures/letters to mean different things. For example, in the picture below, you can draw a “W” which would represent searching something on Wikipedia. You can do this for many different types of commands and we’re thinking that the gestures won’t be limited to just letters, but any gesture you may want to use. Sound like something you would be using on the daily? Of course, this is just an initial filing so we probably have a long ways to go before we see this on our Jelly Bean devices.